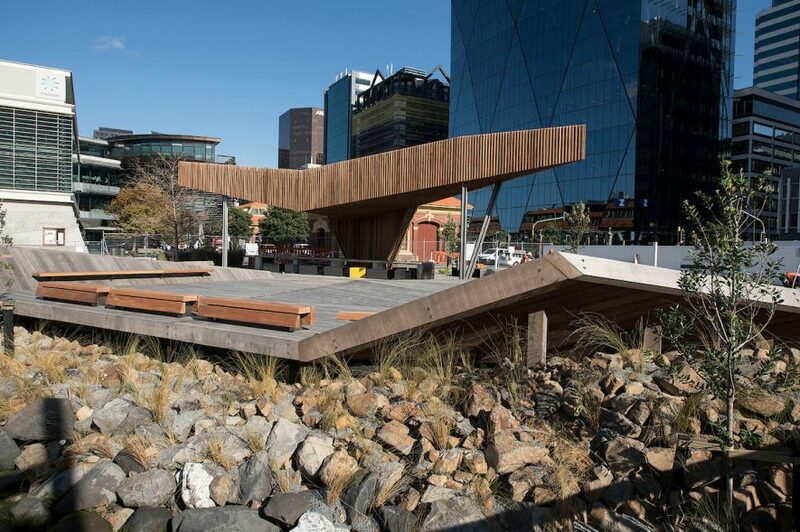 Description: Comprehensive redevelopment of the northern public space alongside the historic Kumutoto stream. 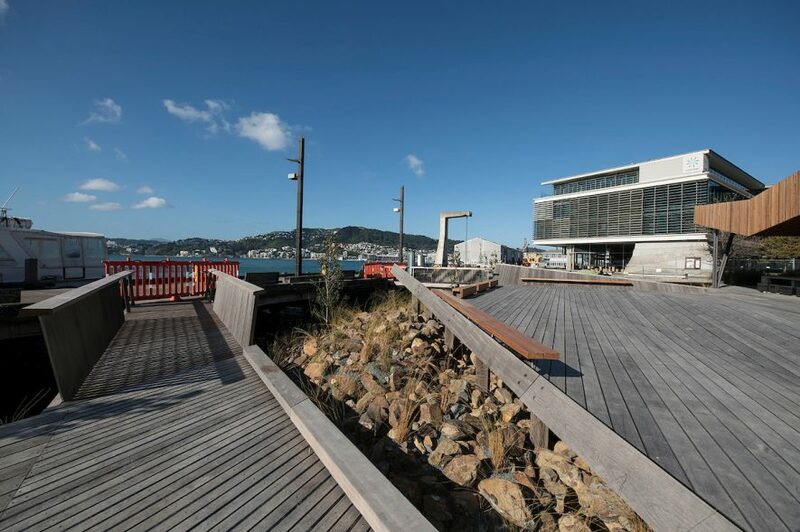 At the commencement of this project, we were aware of the importance to manage and minimise any environmental impact during the construction works, therefore it was critical we worked closely with the Wellington City Council and Wellington Regional Council to adhere to all necessary environmental safe-guards, guidelines and restrictions. 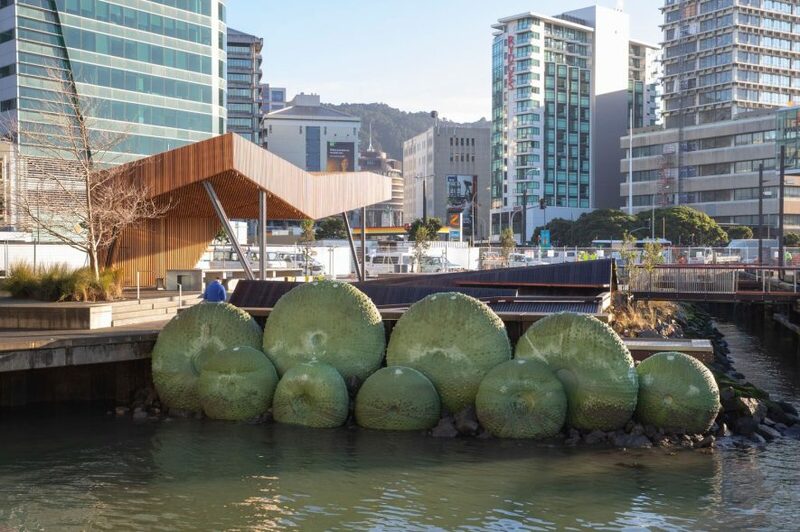 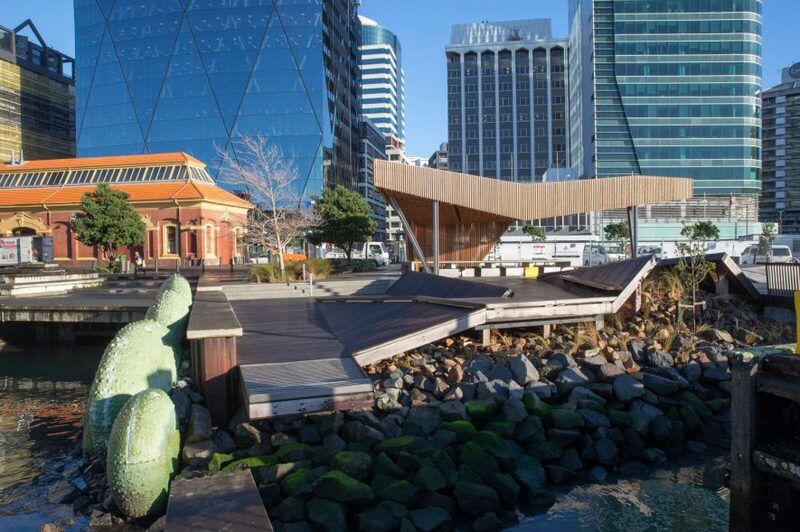 The Kumutoto stream is of extreme cultural and historic importance to the local Te Atiawa which ran from it’s original spring in Kelburn, down to the ocean where Lambton Quay now sits on reclaimed land. 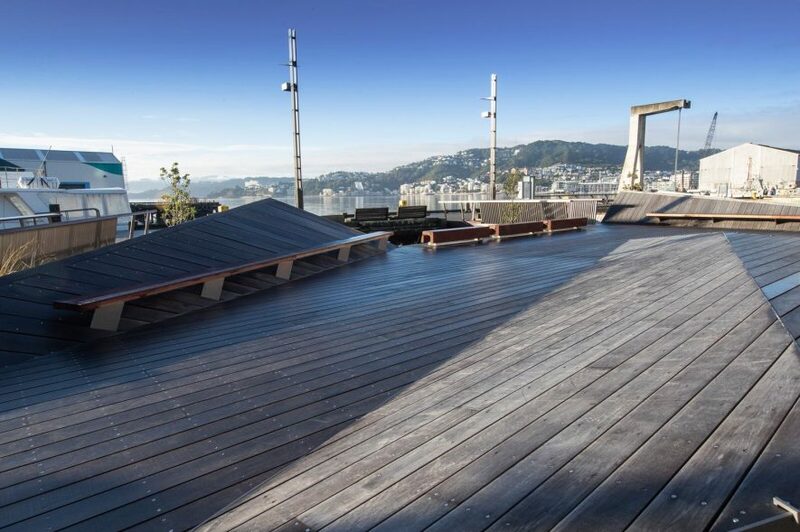 Currently named The Terrace, this was the original ridge that the Kumutoto Pa sat on, overlooking the stream. 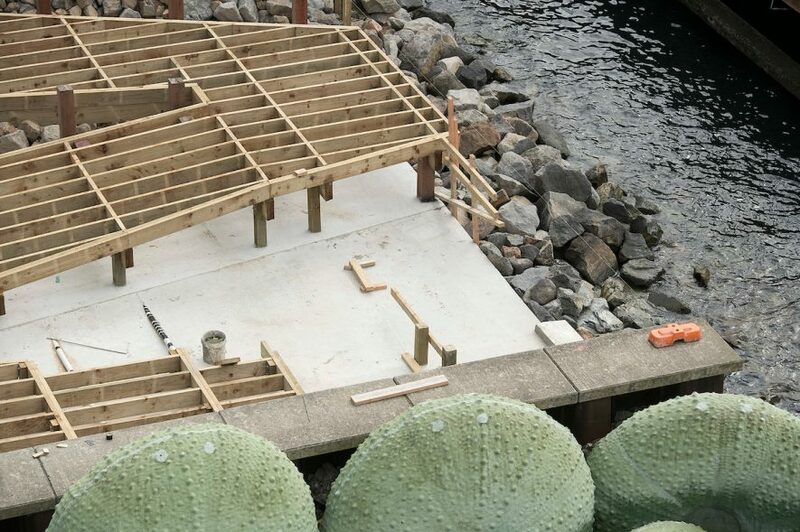 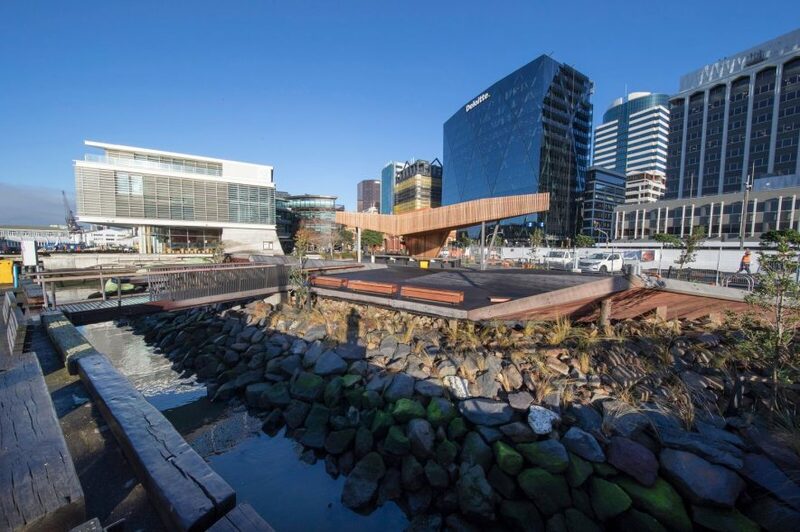 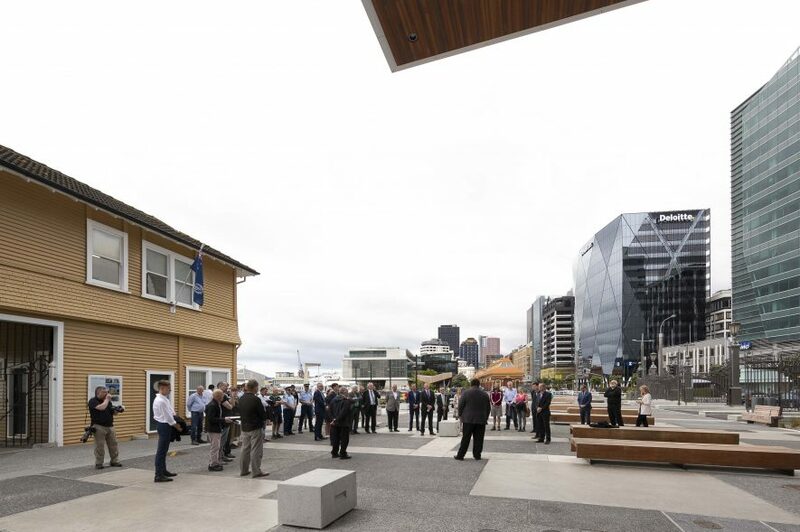 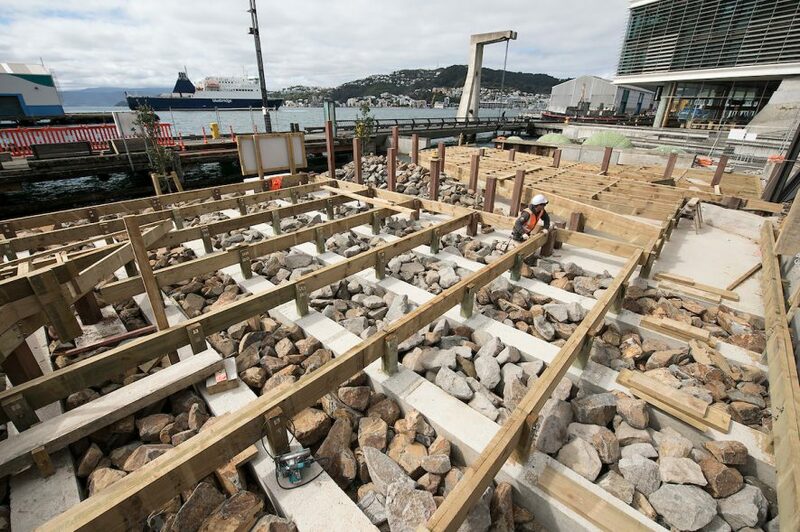 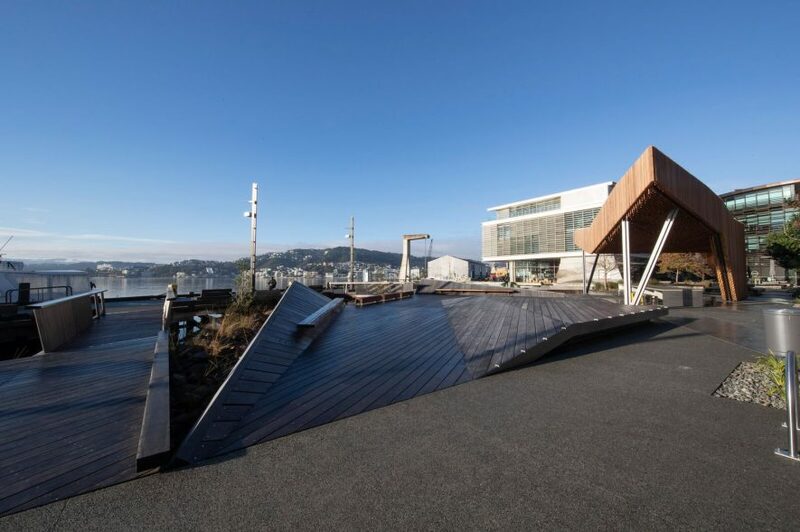 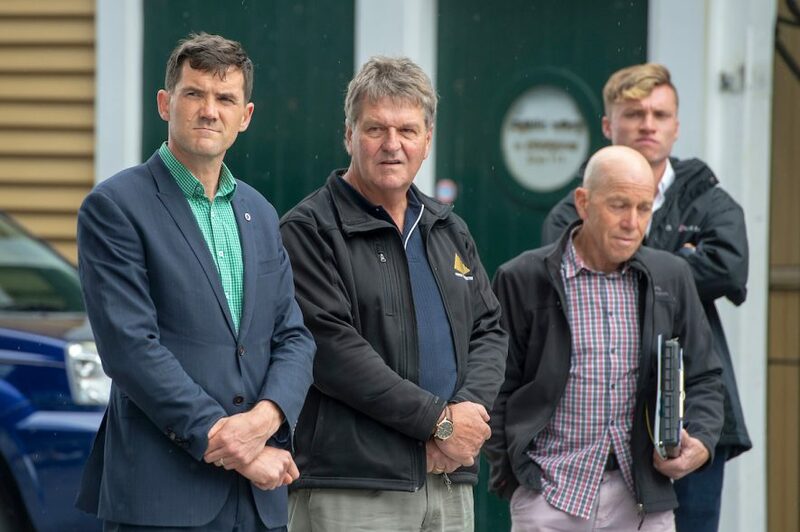 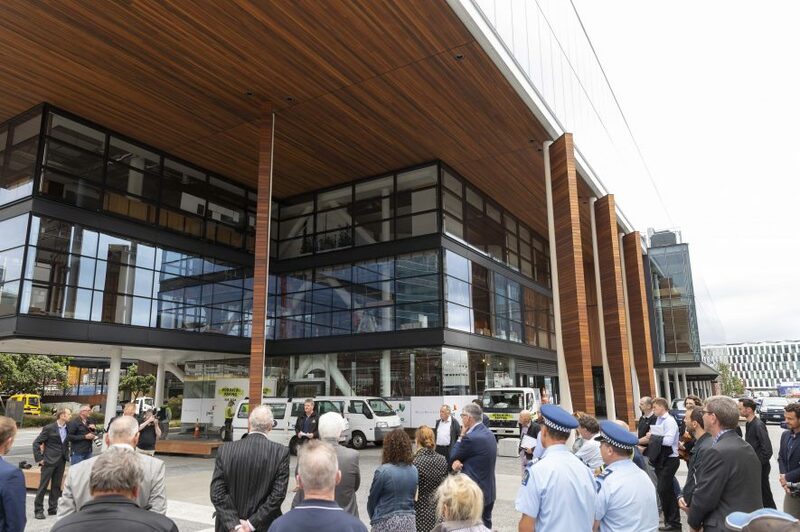 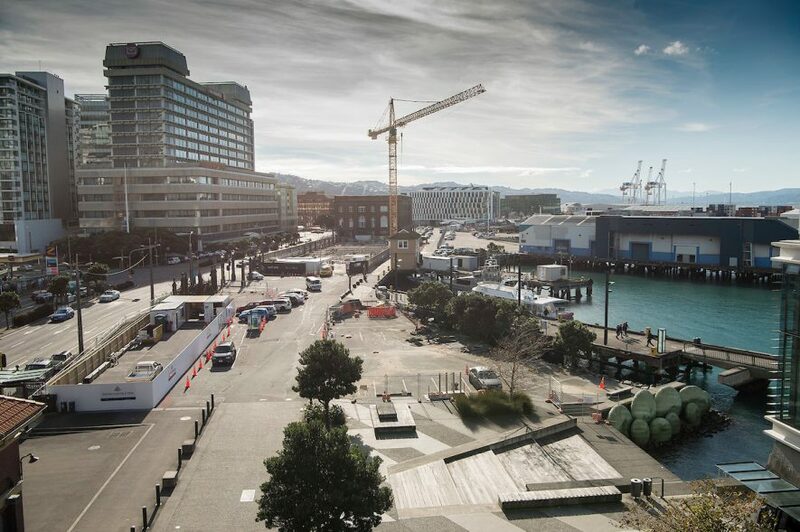 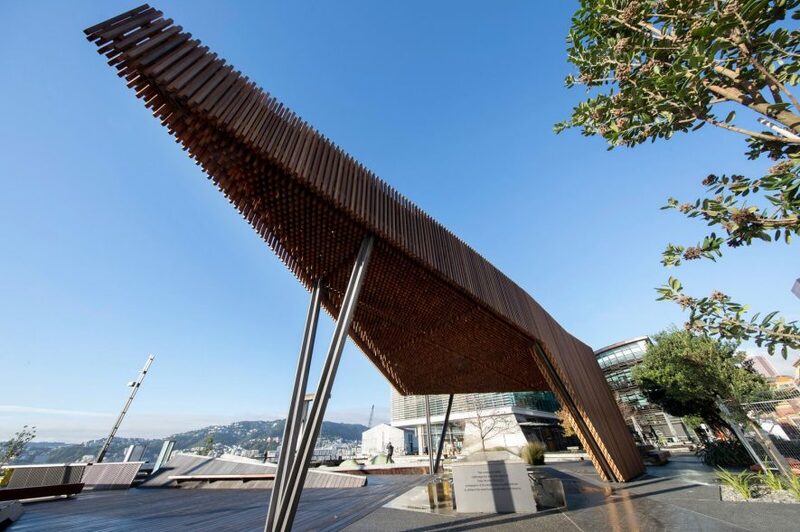 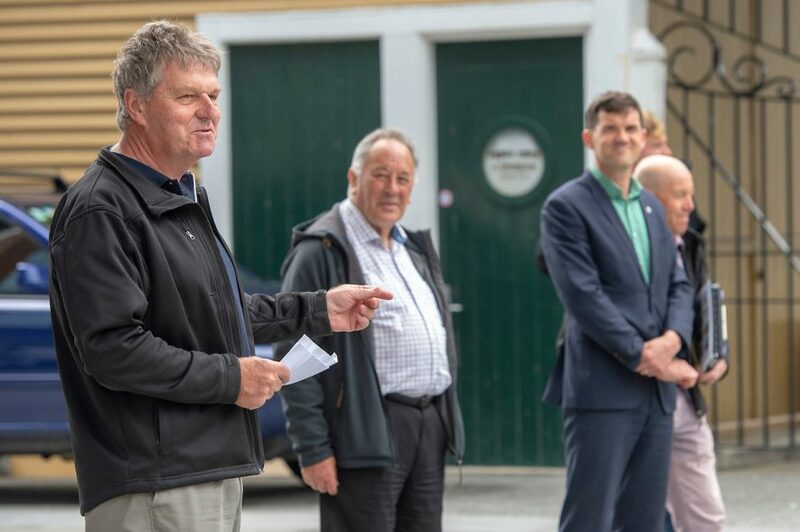 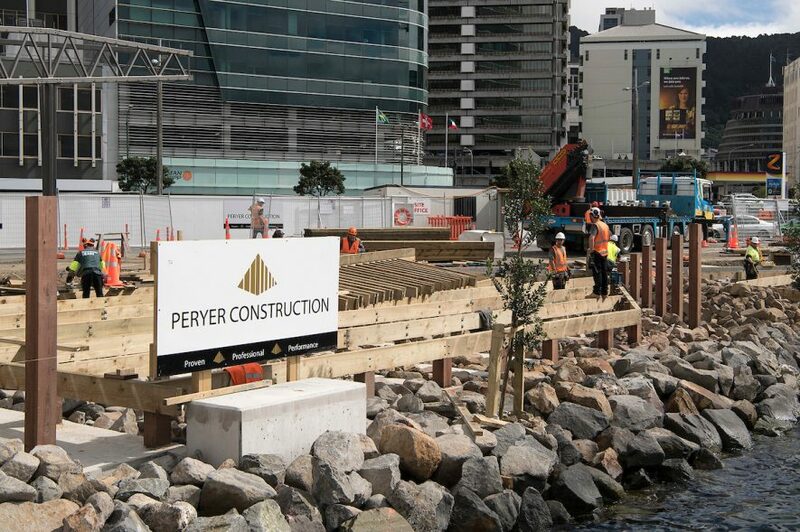 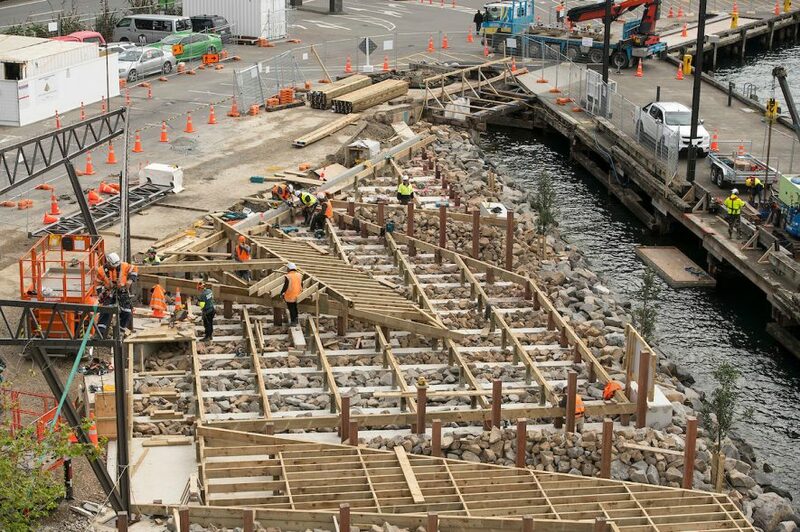 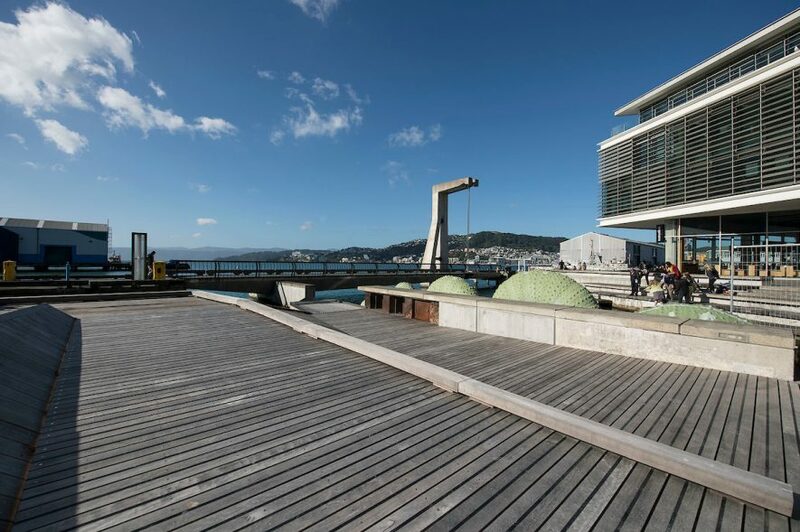 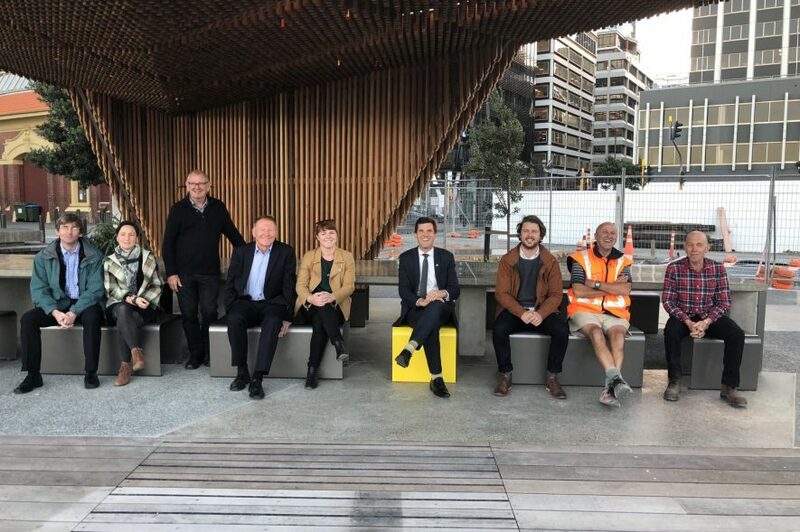 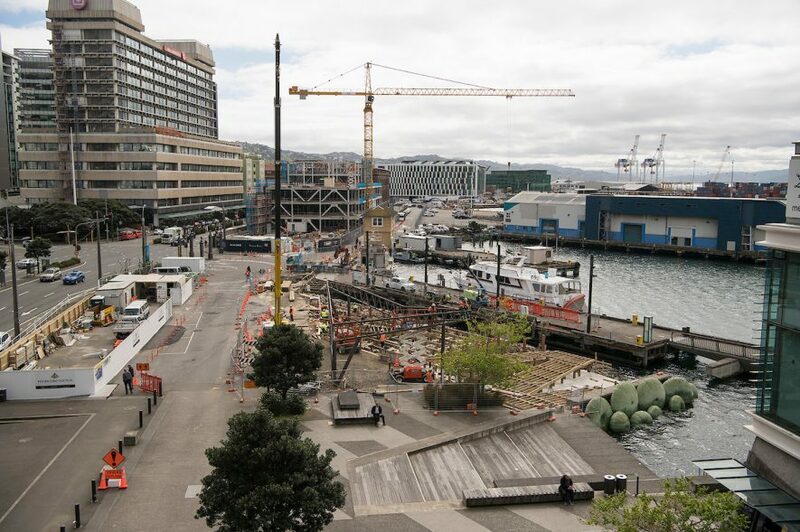 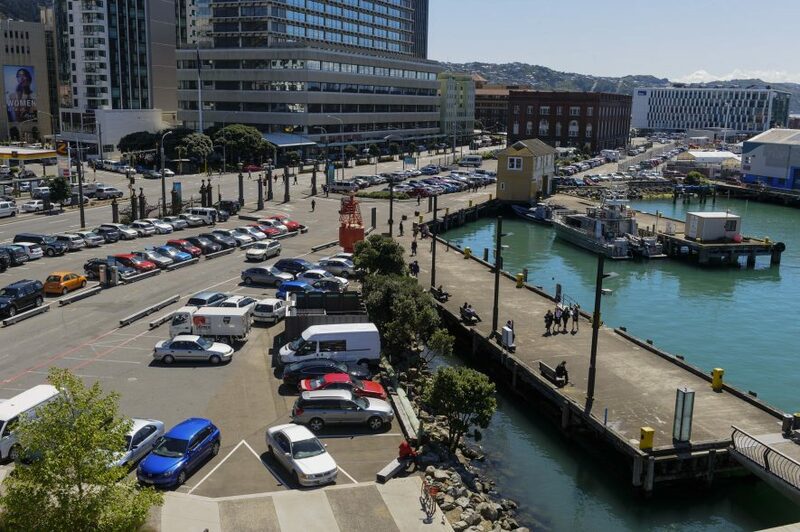 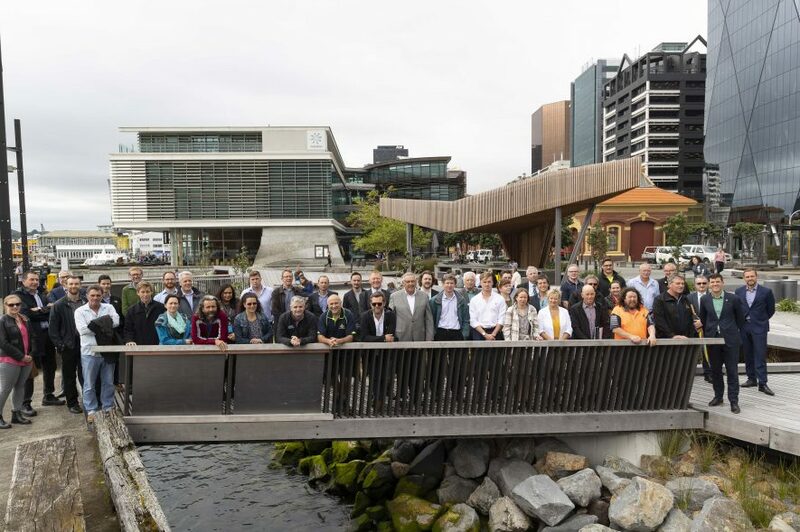 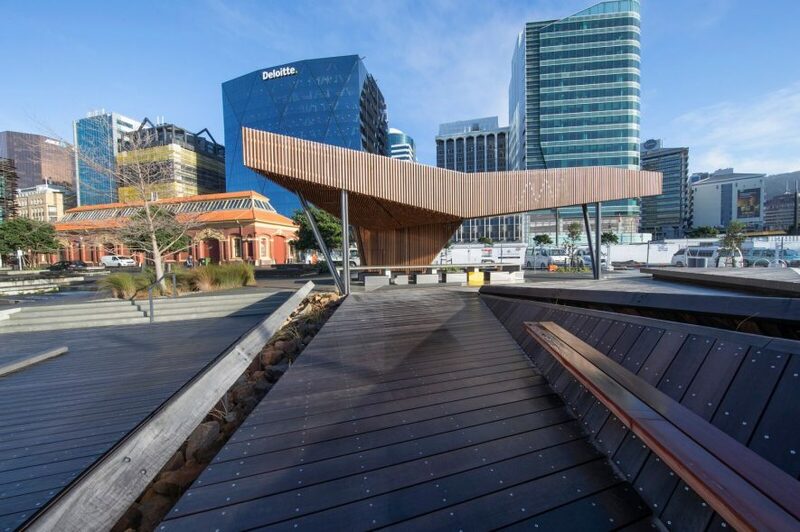 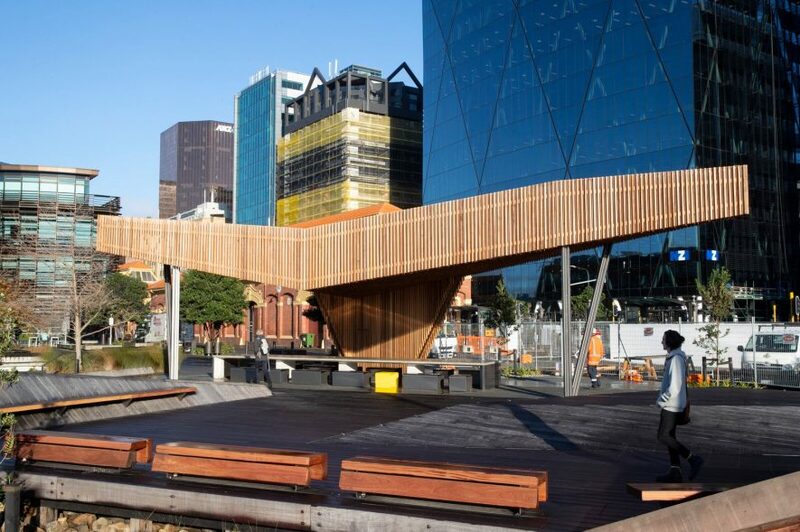 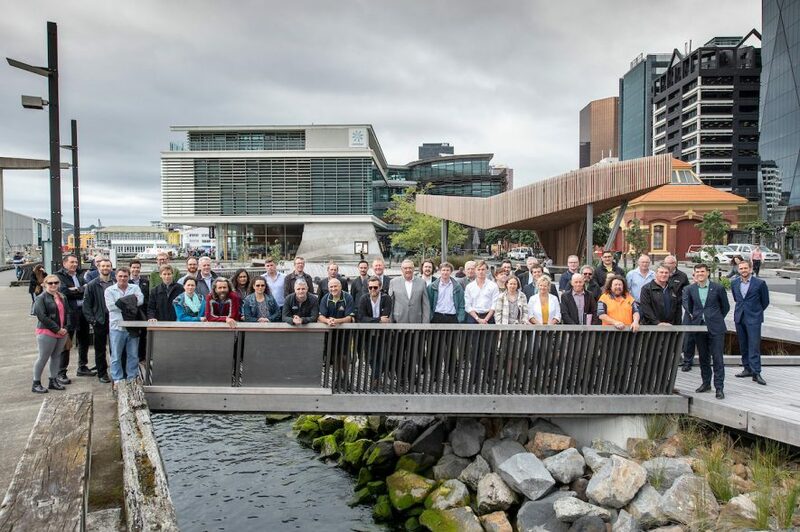 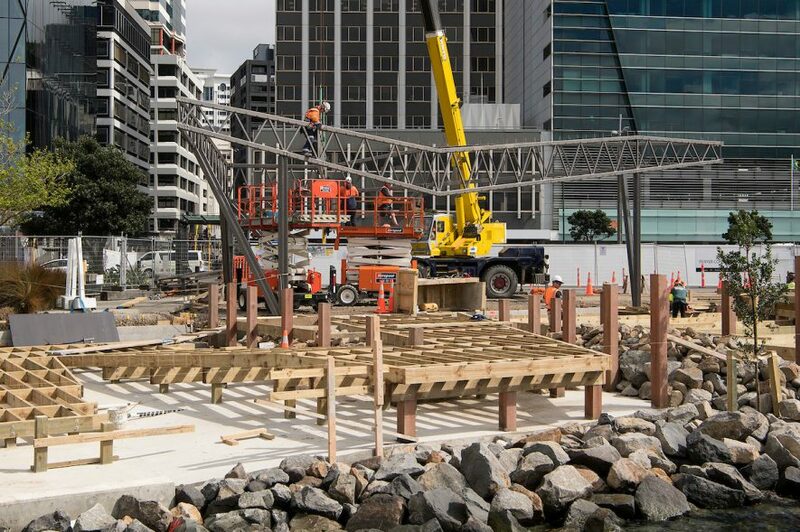 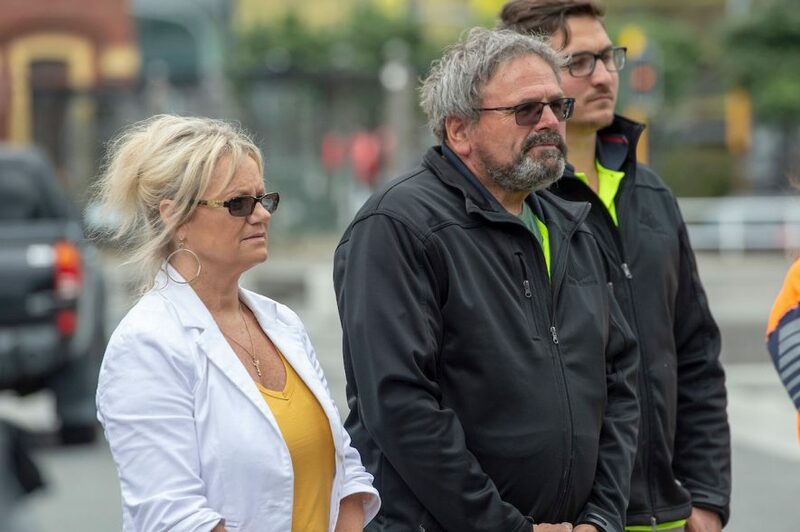 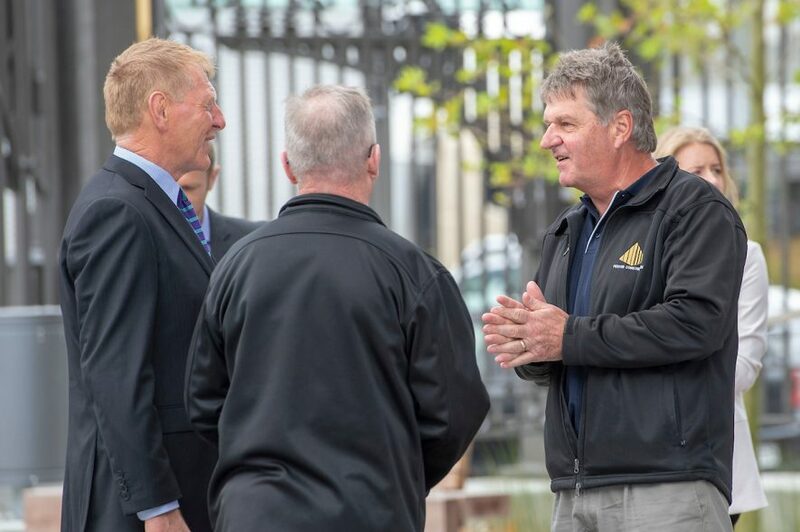 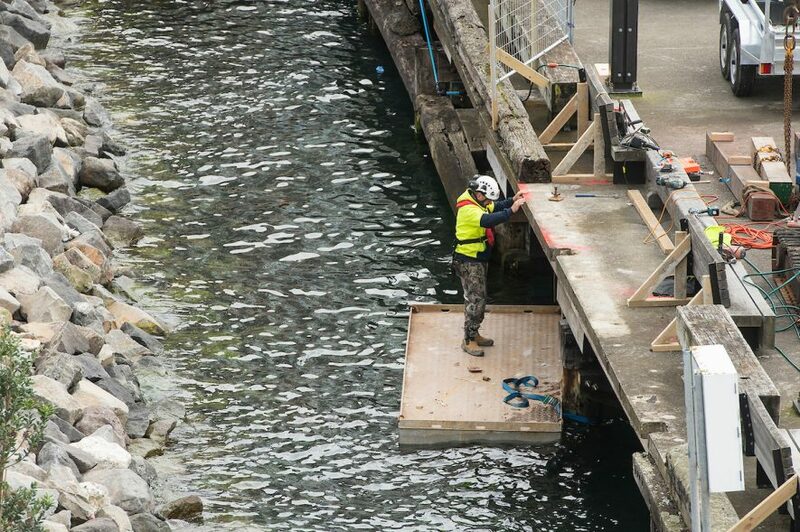 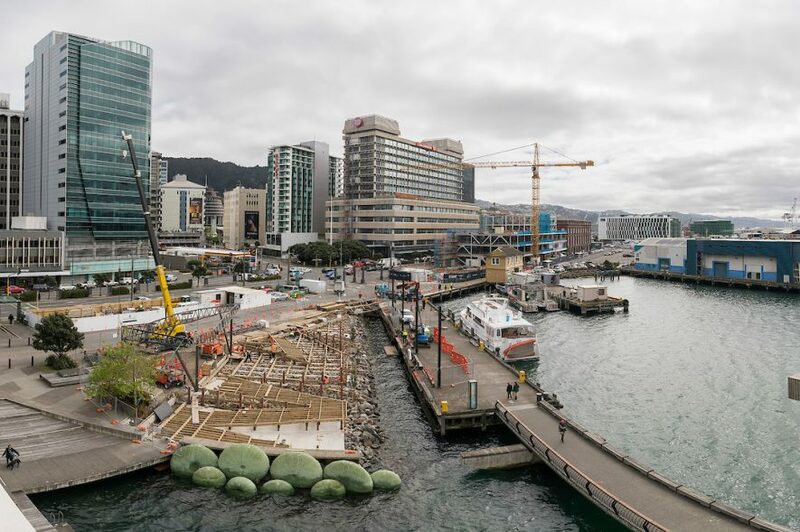 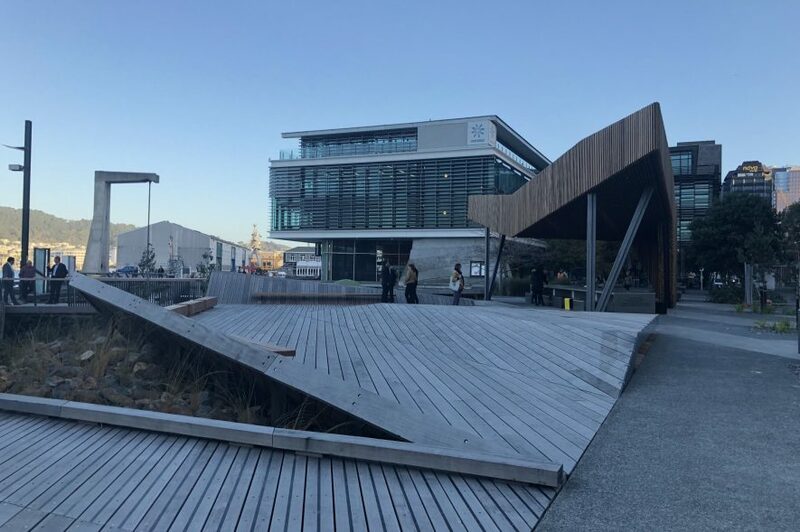 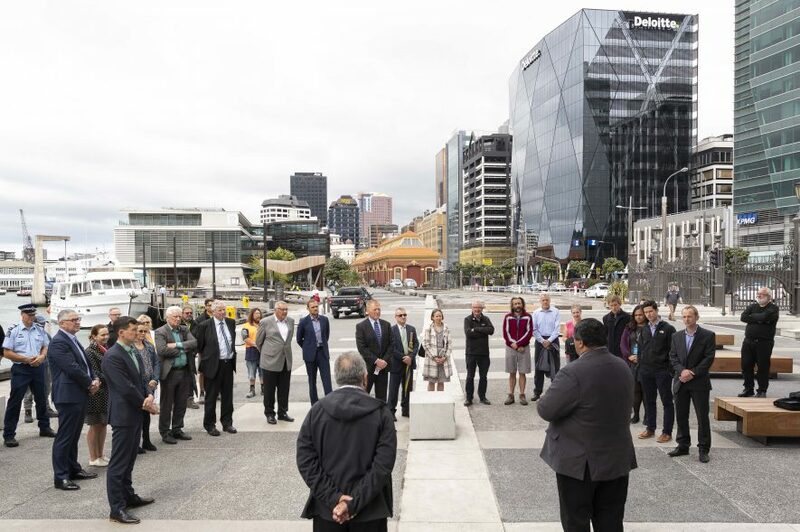 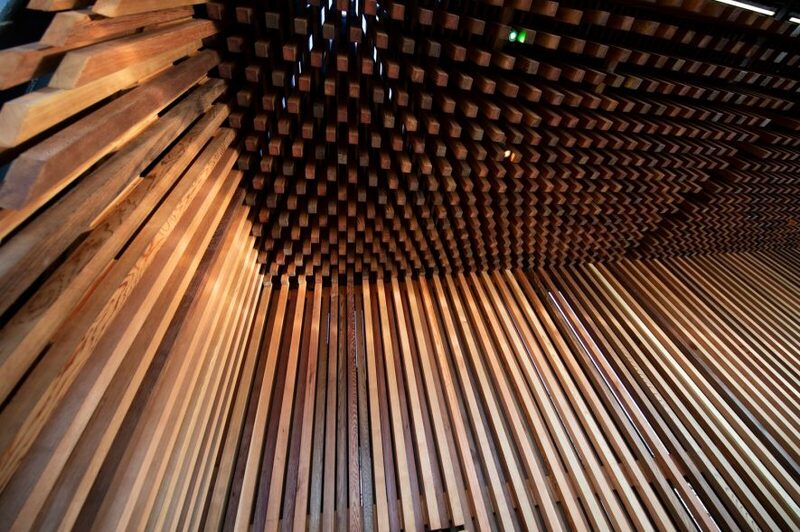 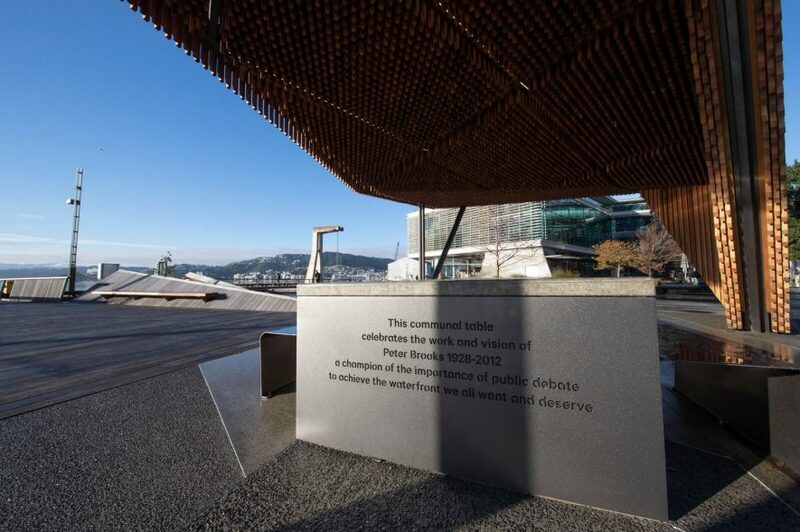 Peryer Construction liaised with the Wellington City Council and Te Atiawa to ensure all appropriate protocols are followed in respect of this extremely important cultural heritage. 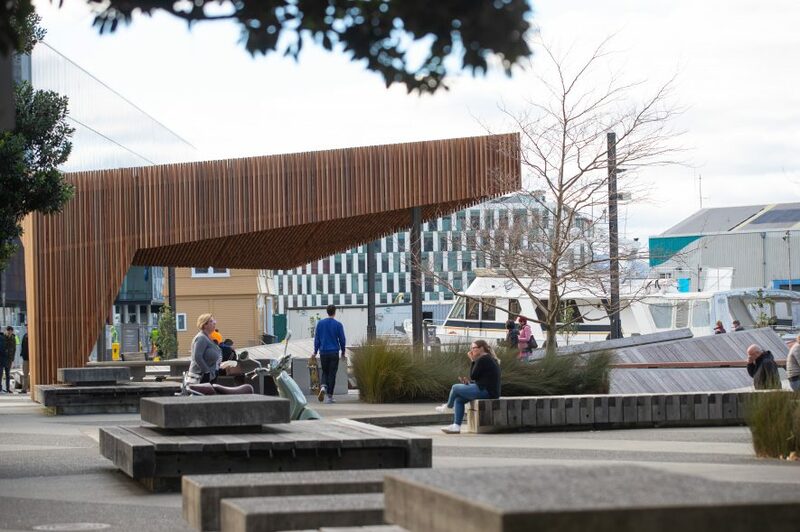 Kumutoto space wins Two Awards! 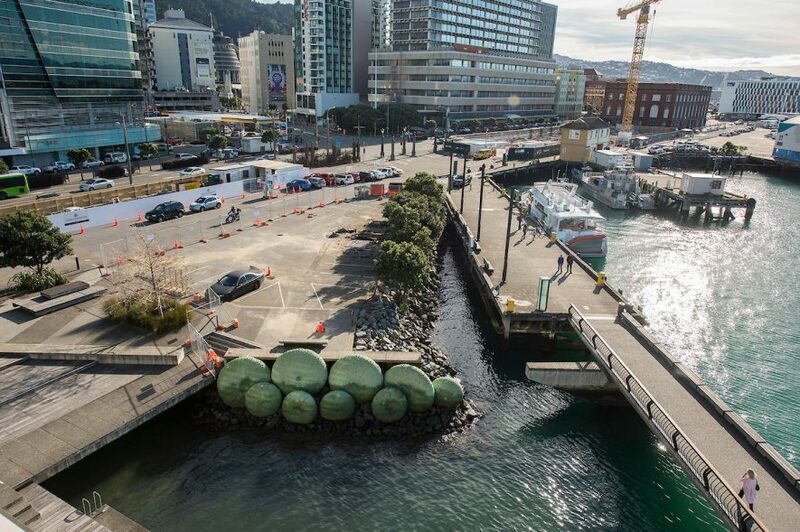 Waterfront north of Meridian building.